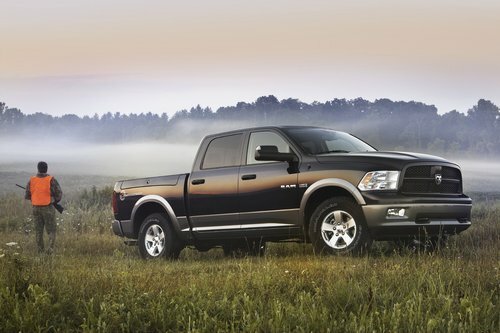 September 14, 2010, Auburn Hills, Mich. - The Ram Truck brand continues to establish its own identity and clearly define its customer since its launch as the newest Chrysler Group LLC vehicle brand. "Creating a stand-alone brand for Ram trucks has allowed us to concentrate on how our core customers are using their trucks and what new features they'd like to see," said Fred Diaz, President and CEO -- Ram Truck Brand, Chrysler Group LLC. 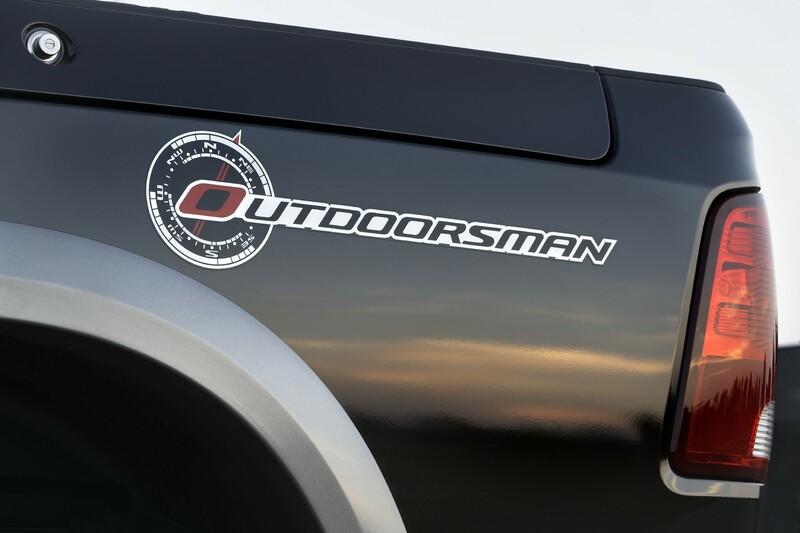 "Whether focusing on a family that uses its half-ton truck day in and day out, a hard-working Ram Heavy Duty owner or a business that depends on its commercial vehicles every day, Ram has the truck market covered." For 2011, the Ram Truck brand adds the hardest-working Ram trucks -- the Ram 3500, 4500 and 5500 Chassis Cab trucks -- to its already award-winning truck lineup which includes the rugged and reliable Dakota, Ram 1500 -- the most-awarded Ram truck ever -- and Ram 2500 / 3500 Heavy Duty pickups. The new chassis cab trucks provide customers with first-time innovations and features along with new standards of strength, utility and driveability, building on Ram Truck's leadership in the heavy-duty pickup segment. Ram's "new crew" of commercial-grade work trucks is built on proven frames and chassis, and engineered for maximum up-time, low cost of ownership, optimum performance and enhanced commercial capability. 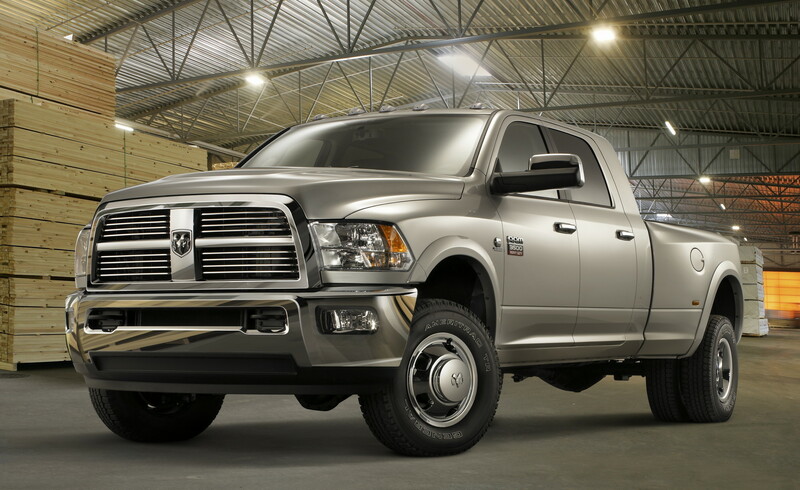 Equipped with a choice of engines, including the legendary 5.7-liter HEMI V-8 engine or the powerful 6.7-liter Cummins Turbo Diesel, Ram Trucks offer the best powertrains in the industry and are known for their reliability. The 5.7-liter HEMI engine offers an amazing combination of power and fuel economy with 390 horsepower and 20 mpg highway. The Cummins Turbo Diesel-equipped Ram pickup, with major overhaul intervals of 350,000 miles, is the only heavy-duty pickup to meet 2011 EPA compliance rules, without the need for a Selective Catalytic Reduction (SCR) and Diesel Exhaust Fluid (DEF). 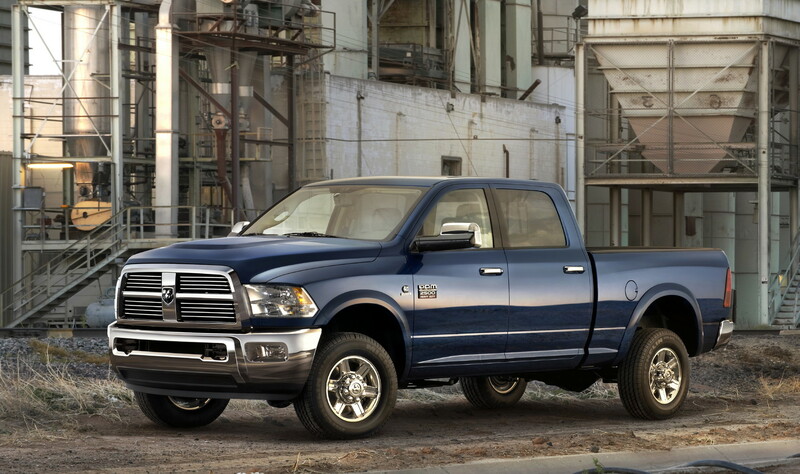 The Ram Truck brand has the most innovative lineup of full-size trucks on the market. 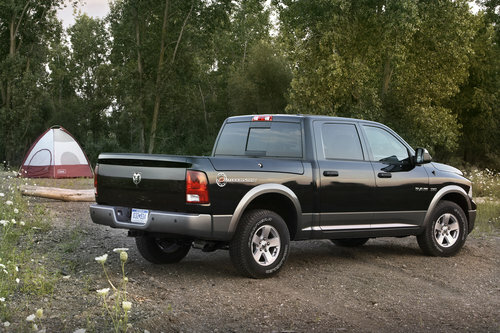 Ram Truck has emerged as a full-size truck leader by investing substantially in new products, infusing them with great looks, refined interiors, durable engines and features that further enhance their capabilities. 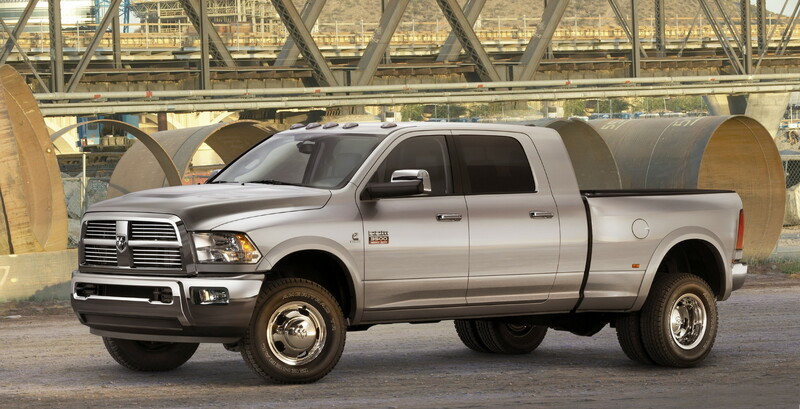 Ram trucks now boast these segment exclusives: coil spring rear suspension on Ram 1500 for best-in-class ride and handling, available RamBox® lockable and lighted bedside storage, in-floor storage on all Ram crew cabs and the largest cab in the market -- Ram HD Mega Cab. Also returning for 2011 is the award-winning Ram Power Wagon. The Ram Power Wagon is the most capable factory-equipped off-road-ready pickup truck on the road. It's equipped with electric-locking front and rear differentials, an electronic disconnecting sway bar, Bilstein shocks, 33-inch BFGoodrich off-road tires, underbody skid plate protection, a 4.56 axle ratio for hill climbing and a custom-built Warn 12,000-lb. winch cleverly hidden behind the front bumper. 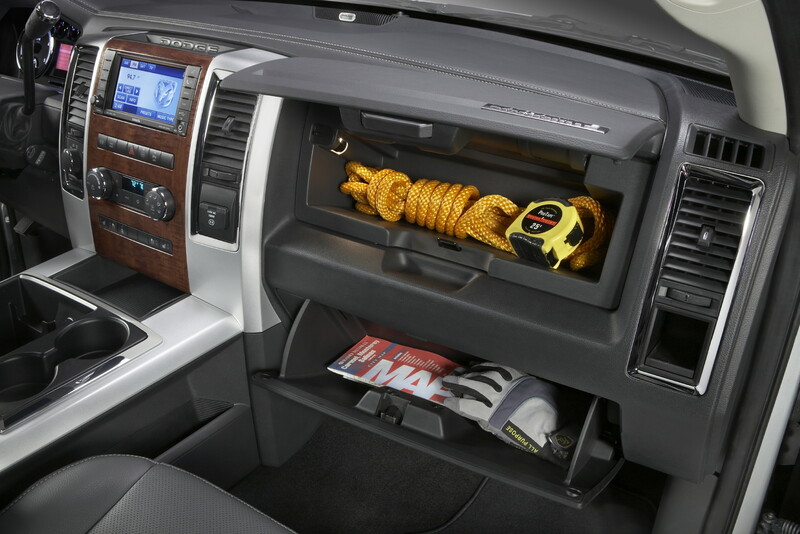 Truck customers -- from half-ton to commercial -- have a demanding range of needs and require their vehicles to provide high levels of capability. The Ram 1500, 2500, 3500 pickups and chassis cabs are designed to deliver a total package.